Have you ever heard about the Pygmalion effect? In 1914, George Bernard Shaw created a play called Pygmalion. 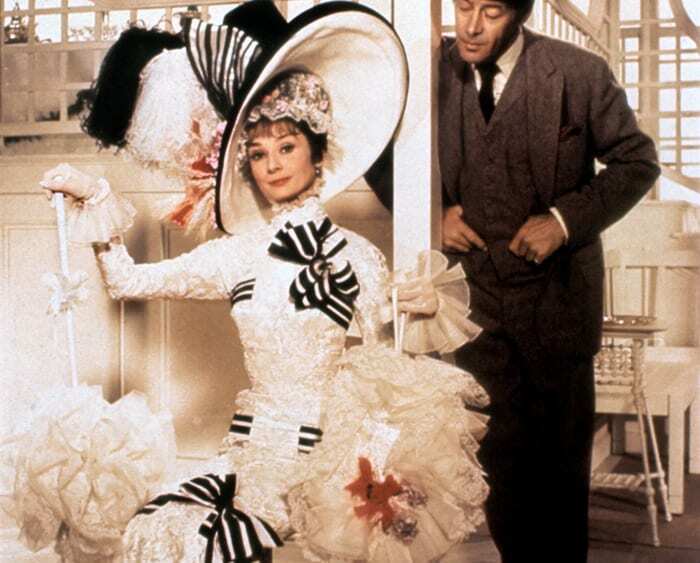 You may certainly be familiar with the movie inspired from the play: My Fair Lady. This is one of my favorite movies. Audrey Hepburn plays the lead role. She is a pretty little flower seller who meets an eminent professor of phonetics. He casually wagers that he could teach her to speak “proper” English, thereby making her presentable in the high society of Edwardian London, and he succeeded. Very Exciting, I highly recommend the movie! Let’s go back to the Pygmalion effect. Robert Rosenthal, a professor of social psychology at Harvard and Lenore Jacobson, an elementary school teacher in San Francisco, conducted in 1965 a study known as “Pygmalion in the Classroom”. In their class experiment, Rosenthal and Jacobson told teachers early in their school year that, based on the result of IQ test, some of their students had above average academic potential (a group labeled “bloomers”). In actuality, these “bloomers” had been randomly selected, and were on average, no smarter than the other students in their classes. The teachers were unaware that the feedback to them had been falsified, and the students were not told about the label given to them. By the end of the school year, the bloomers showed significant increase in their IQ scores when compared to students in the control condition. Teachers’ expectation had come true (Rosenthal & Jacobson, 1968). What if I do not have a seed? This is how I often answer to my loved one: First, have high expectations and ambitious goals! What this study teaches us is that having high expectations for others, lets to “self-fulfilling prophecy”. A self-fulfilling prophecy refers to having expectation about another person that influences how you perceive and behave toward that person. Your expectations, and the behavior based on these, in turn, affect the way in which that person behaves when interacting with you. According to self-theory, individuals come to “know” their own attitudes, emotions, and other internal states partially by inferring them from observations of their own overt behavior and/ or the circumstances in which this behavior occurs (Bem, 1978). Thus, by having high expectation for one self and setting ambitious goal, we can make our own expectation come true. Then, cultivate your “self-responsibility”. A quote from Nathaniel Branden’s book “The six pillars of self-esteem”, sums up pretty much the notion of self-responsibility: “No one is coming” . In other words, the wonderful teacher who will discover your fabulous potential, and allows you to shine may not cross your path. It’s better to be your own Pygmalion, it’s less risky! Finally, discover and develop your strengths: I often ask this question during a recruitment interview: “Do you want to work on your strengths or weaknesses? Almost all candidates answer: “on my weaknesses”. When you work on your weaknesses you can go from mediocre to not bad. But, when you work on your strengths, you can strive for excellence. Manage your weaknesses so that they are not an handicap for you, but put all your energy on developing your strengths. To conclude, you may just have to ask yourself the right questions: What do I like to do? What gives me energy? What works well in my life? What are the topics that spark my interest? When do I feel good? All these questions will give you a direction for were to look for your seed! This entry was posted on Sunday, March 24th, 2019 at 2:42 pm	and is filed under Uncategorized. You can follow any comments to this entry through the RSS 2.0 feed. You can leave a comment, or trackback from your own site. I like your view of the importance of focusing on strengths more than on weaknesses. Everyone has their own areas of passion and developing them can lead to something extraordinary. Think of all the famous inventors, musicians, artists, composers…They focused on their area of talent and passion and developed it through much practice and guidance. The world does not know or care what areas of weakness Beethoven or Rembrandt had, but we can sure see their talents! Unfortunately in our modern education system, we expect children to be good at all subject areas. We focus on their areas of weakness and give them extra help trying to improve them to the standard levels of success. Only children are forced to succeed at such a multitude of subject areas. Adults can choose their area of focus and avoid the things they aren’t great at, for the most part. Imagine if children could do that. When children are forced to spend so much time on things that they can never really feel passionate or successful about, it lowers their love of learning. If instead of having to master math and writing and languages and science, they could follow a path that focused on their natural aptitudes, they could thrive! Imagine teaching them the basics of math and reading and writing so that they could get through life, but focusing the majority of their time on their passion and talent. I would have a daughter who could still read and do basic math when necessary, but would be thriving as a creative artist, passionately putting her heart and soul into movies and art pieces that told the world of her experiences. Rather than seeing her as a special needs child who can’t quite do anything good enough, she would be seen for who she really is, as an intuitive empathic person who can read into situations with a level of depth that most adults cannot. By allowing children to follow their natural path of ability and passion, we would be encouraging the acceptance of differences. No longer would children feel like they have to fit into the mold of the typical student: basically good at logic and left brain functions. Instead we would see children as individuals and we could celebrate the specific passions of each one. Some homeschool families have found out how to do this. Their children thrive by following their passions and learning tremendous amounts of things in their area of expertise, often becoming child prodigies. In fact, many of the famous composers of old had this experience. Imagine Mozart being forced to learn the basics of each area of science and language, rather than devoting so much time to his natural abilities. The world may have missed out on his amazing talent developed at such a young age.